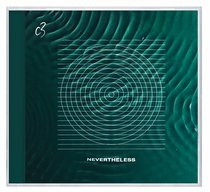 'Nevertheless' is the latest album from C3 Music. Based in Sydney, Australia, C3 Music has been pioneering songs of faith and breakthrough for over 30 years. Featuring the singles 'The Father's Love', a ballad depicting the unfailing, unconditional love of God; and 'Holy (Not Unto Us)', a glorious anthem of Jesus-centred worship; the songs of 'Nevertheless' will inspire you to step into a new day of personal devotion to Jesus, and lead congregations into an atmosphere of God's presence. Nevertheless is a declaration of worship in the wilderness and praise through the pain. It is a position of leaning into and singing the breakthrough into being. A battle cry of the saints.